I couldn’t resist taking this picture on a food shoot yesterday because the colours were so amazing – and blood oranges are in season at the moment. To me, blood oranges sum up the sunny Mediterranean, so it seems odd they have their short season during the English winter. To make use of them while you can, how about putting them in a salad with fennel and a simple olive oil dressing? If you think that’s pushing the Mediterranean feel a bit far while there’s still snow on the ground, enjoy them on their own or in a juice – or better still, make them into jellies with fennel seeds and a dash of pastis for pudding. 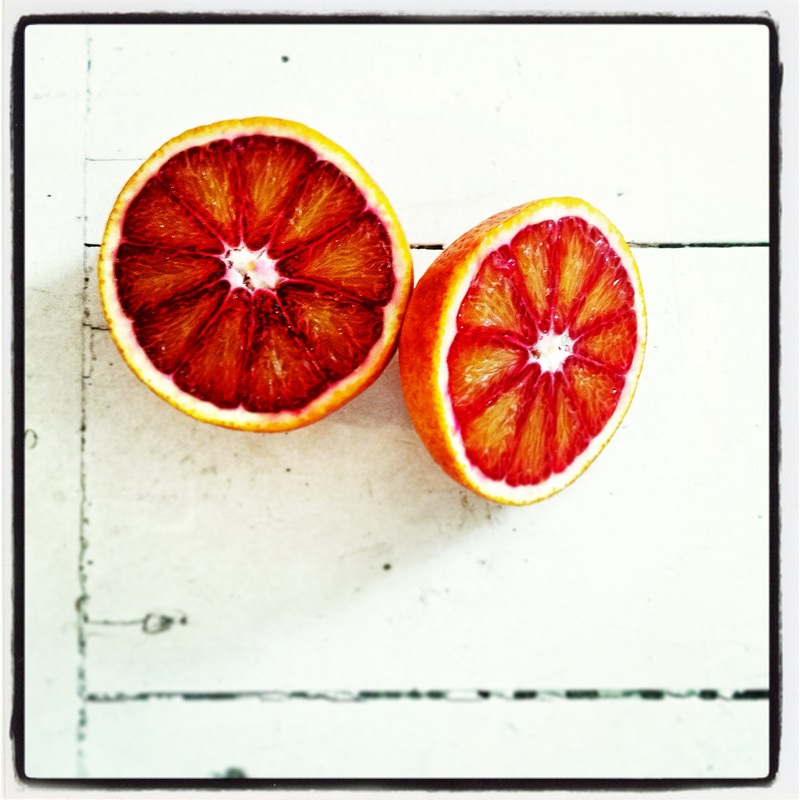 Adore blood oranges. We get them mostly from California over here but sometimes we are lucky enough to get ones from Sicily, too. Their freshly squeezed juice goes really well with fizzy wine. I also love them with rhubarb in a crumble. Recently used some in a marinade for chicken with smoked paprika, ginger, coriander and jalapenos. Very good.